Chocolate cupcakes are topped with red tinted, homemade butter cream frosting. 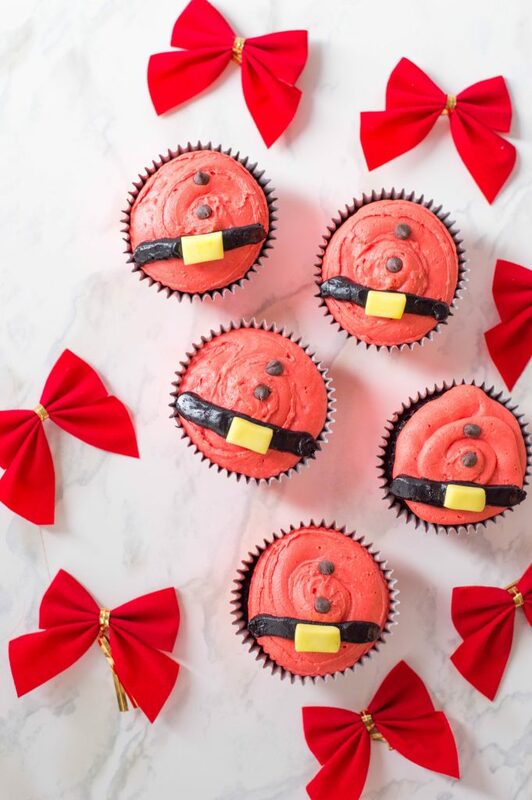 With a black frosted belt, a yellow fondant buckle, and two mini chocolate chip buttons- these Santa Belt Cupcakes are the most adorable Christmas-themed dessert to celebrate any occasion with. Cookies are synonymous with Christmas and the Big Guy. 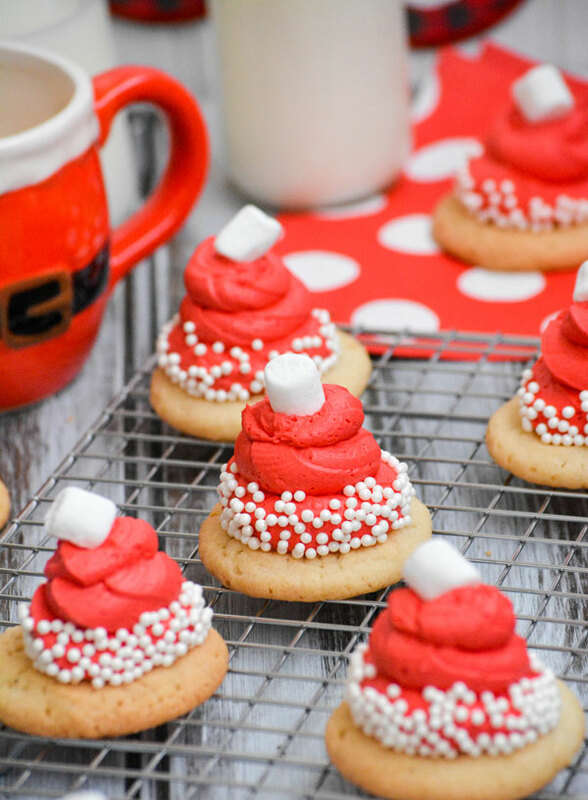 This year, we’re leaving him an extra special snack with these Santa Hat Cookies. They’re easy, they’re soooo yummy, and they’re perfect for getting kids in the kitchen and excited about a festive dessert.